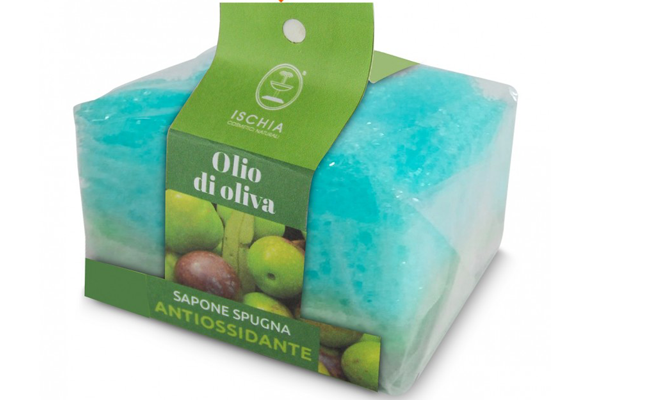 Thanks to the presence of olive oil, the soap sponge has an antioxidant power that can prevent signs of aging by cleansing the skin. The best way for storing the higher amounts of mineral salts contained in thermal water is to transform it into gel; as a matter of fact gel is a product essentially formed by water. With this composition we obtained a real concentrate of thermal water, combined with essential lemon oiland enriched with sea salts. This gel transforms a simple bath into a slimming treatment that leaves the skin soft and moisturised; it is relaxing and aromatic thanks to the emission of a strong scent of flavonoid-rich lemon oil in hot water having wellknown whitening, cleansing, decongestant and firming up skin properties. For a stronger action, it is advisable to massage the product on a wet body and then take a bath or have a shower; it can also be dissolved directly into the bath and in the hydro massage.